How do we love thee, Bermuda? Let us count the ways. 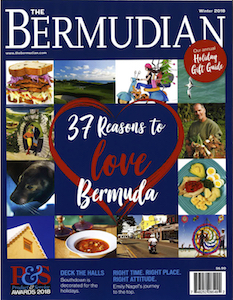 These 6 iconic to reasons to love our island were taken from “37 Reasons to Love Bermuda” which featured in our Winter 2018 issue. 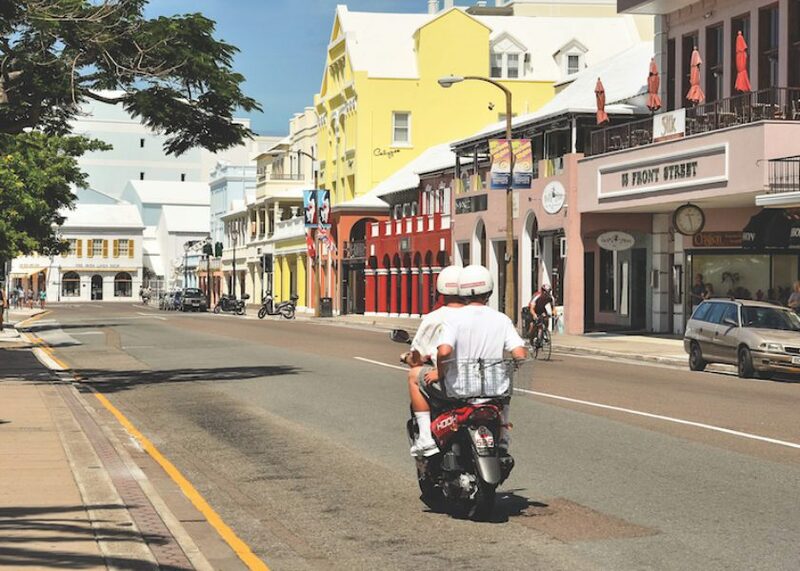 Despite having its own unique culture Bermuda has always been influenced by British customs, thanks to its lasting status as a colony. Perhaps no other place in the world enjoys Bermuda’s distinct blend of British, American and local culture. What’s not to love about a waterfront high street where even the yellow-painted public bathrooms are adorned with a floral mural and Bermuda flag? It has wonderful quirks, including the Bird Cage, and if you are stuck behind a car that randomly stopped in the middle of the road because its owner didn’t want to pull in or spotted someone they know, you can look across the harbour and count the number of pink and yellow houses overlooking Harbour Road. Asking Bermudians about the Triangle really should be put on the list of micro-aggressions. It is an inescapable conversation topic no matter where in the world you find yourself, and frankly we’re sick of it. OK, maybe not sick of it, but it definitely gets tiresome explaining to someone abroad that, no, you’ve never gotten lost in the Triangle. In fairness, however, it is the reason most people even know about us, along with the Beach Boys. So I suppose we should be grateful for that. There are an infinite number of explanations why spooky stuff happens between Bermuda, Florida and Puerto Rico. Some have blamed the disappearing ships on the lost city of Atlantis. Stephen Spielberg imagined that UFOs were to blame in his hit film Close Encounters of the Third Kind, depicting the ill-fated crew of lost Flight 19 as having been abducted by aliens. Methane hydrates are a more popular and believable explanations – the idea being that massive bubbles of methane can pop up beneath ships, reducing the water density and sending them plummeting to the bottom. But the fact of the matter is it’s all overblown hype. Those of us that care point to Lawrence Kusche’s book The Bermuda Triangle Mystery: Solved, published in 1975. Through his research Kusche found many of the early writers’ accounts of incidents were exaggerated, suspicious, or outright lies. The mysteries of the Triangle, he found, are nothing more than the result of sensational writing, poor record-keeping and a self-perpetuating mythos that made regular shipping incidents in a traffic-heavy area seem out of the ordinary – a fact proven by a study conducted in 2013 identifying the ten most dangerous shipping lanes in the world. The Bermuda Triangle was not among them. So it’s no surprise that incidents in the Bermuda Triangle have significantly dropped while technology has gotten better. A man named Reza Baluchi tried to traverse the Triangle in a Zorb a few years ago until the US Coast Guard snatched him from the maw of natural selection when he called them up for a rescue. When you can ring up the coast guard from an inflatable orb in the middle of the Atlantic, I think it’s safe to say that getting lost in the Bermuda Triangle just ain’t what it used to be. Wander the streets of any major city in the world during rush hour and chances are you won’t be able to see the black for the grey. Head into Hamilton after May 24 on the other hand and you will need your sunglasses not just to protect your eyes from the sun but also from the blindingly wonderful colours of the shorts you will encounter. In Bermuda, you can’t see the black for the bright yellows, pinks, turquoises, blues or reds. How jealous the visiting male insurance executives must be as they sweat their way through town when they could be enjoying a light breeze entering via the knees. The United States may be able to boast having the most championship winners, but it might never have been the case were it not for Bermuda and Mary Ewing Outerbridge. Born in Philadelphia to Bermudian parents, she discovered the game at Clermont in Paget in 1874. She enjoyed it so much that she took rackets, balls and a net back to the US and set up the country’s first tennis court on Staten Island. The beauty of the Dark n’ Stormy is in its simplicity. It’s just rum and ginger beer. You’d never imagine such a simple cocktail would have an actual history behind it. I wish I could tell you that the story begins with, “It was a dark and stormy night” but the truth is far more pedestrian. Nevertheless, the delightful, sparkling, refreshing drink is an indelible part of our world. The concoction itself dates back more than a hundred years to post-First World War Bermuda, when some sailors in the Royal Navy began mixing their beloved Gosling’s Black Seal rum with home-brewed ginger beer. One imagines it was a eureka moment for the sailors because the mixture became the most popular drink for sailors who had just finished their shifts – which is why the drink is so closely tied to our sailing heritage. Even its name evokes the dangers of sailing around Bermuda’s notorious reefs. They say necessity is the mother of invention, and nothing brings out ingenuity in Bermudians quite like the lack of an available car when you need one. Friend needs his lawn mower back? No problem, it’s got wheels. Luggage, too. Going paddle boarding? Just make sure you don’t let it catch the wind. With only one car allowed per household, sometimes you have to make do without, with often hilarious results. Everyone who visits our island knows Bermuda is renowned for our friendly people, gorgeous beaches, pastel-coloured homes and white roofs. While the majority of Bermuda’s attributes are self-explanatory, many tourists ask why we have white roofs with built-in steps. To understand this, we need to go back a few hundred years. With no rivers, streams or other fresh water vessels, the early settlers to Bermuda came up with the most ingenious idea ever known to man. (OK, maybe that’s a bit of an exaggeration, but it’s still incredibly clever.) Â That, of course, is the ability to harvest rain by way of our roofs. Rain water hits the lapped or weathered slate profile roof that has a step-like appearance. The water then trickles down and is caught at the bottom of the steps by the rainwater glide or gutter. Water from the downspout is safely delivered to concrete water tanks. Depending on the age of your home, water tanks can be found either underneath or beside every home in Bermuda. What’s with the steps? In early construction days, the slate that was used to build Bermuda roofs overlapped one another and presented a step-like appearance. Not only was it proven to be aesthetically pleasing, it also determined the lapping (or step) formation which slowed down the flow of heavy rainfall, making for efficient water collection. Why white? Bermuda roofs are made of limestone, which is white in colour. In the past, lime mortar was used; however these days, roofs are painted with a lime-based whitewash. White is also the most logical colour to reflect sunlight and deter heat from penetrating the house. Can salt water enter your tank? Not your typical daily issue, but it does present a challenge during a hurricane. Whether you live oceanfront or more inland, hurricane force winds can kick up their fair share of salt water. To prevent salt water from contaminating water tanks, locals employ an old tactic. The size of the leader (or downspout) mouth is roughly the same size as your average tennis ball. The trick is to stuff a tennis ball in a sock, wrap it tightly and place in on top of the leader to completely cover the hole. It works like a charm. You could say Bermudians are pioneers of water conservation. Catching rainwater is also very economical. The average water tank in homes across Bermuda, holds between 15K – 20K gallons of water. The average cost of getting water delivered to your home is just under $100 for 900 gallons. While visitors to the island may not embrace rain on their vacation, Bermudians typically greet “tank rain” with open arms and closed wallets. It truly is our liquid sunshine! With three direct hits in four years, Bermuda is no stranger to tropical cyclones. But despite enduring the fury of Category 3 and Category 4 storms delivering relentless pounding of hurricane force winds, the vast majority of homes across the island have continued to remain intact and in place. While is it virtually impossible to build a house that is 100 percent hurricane proof (especially in the middle of the Atlantic), Bermuda does have a reputation for remarkable designs of resilient infrastructure that could withstand whatever blows happened to appear on our shores. 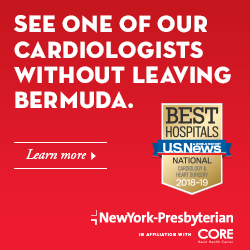 Most of the original Bermuda buildings were constructed with relatively lightweight wood post and beam structures, a masonry paste infill walls and thatched palmetto leaf roofs. Following two major hurricanes in 1712 and 1714, which flattened all but the stone buildings constructed on the island up to that time, Bermudians realised the long-term benefits, despite immediate cost, of Bermuda stone construction. Early colonists who were also indentured workers were required to contribute two days’ labour per week to assist the development of the colony. These works included the creation of bridges, roads, public buildings and fortifications. Thus the skills required to work with Bermuda stone were quickly absorbed and translated into many domestic and commercial structures. These structures established the standard for durability as well as a new endemic architectural pattern that would last until the mid-twentieth century. A building boom that began in the 1950s and continued through the 1970s saw more homes built during this period than in any other in Bermuda’s 300-plus-year history. A consequent shortage of Bermuda stone led to the widespread use of concrete block as an alternative, and local builders were quick to adopt innovative construction techniques, including the use of concrete and steel framed buildings developed during the tenure of the British and American military bases. New materials attempting to respond to years of successful local performance knowledge required new building standards that would ensure safety of the structures while retaining the essential Bermudian character. 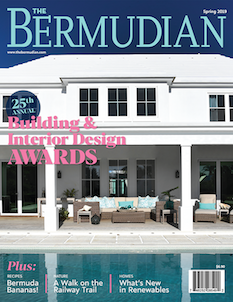 So whatever blows our way, Bermudians can trust the design and build of their homes. In many cases it is the safest place to be during a hurricane. If you’re really fortunate, you may even retain power throughout the storm. What better way to continue the traditional hurricane parties!